weeks – over the whole of February really. time it has been emotionally tough going. that are unspoken) when times are tough. living and being this way. have little, if any, control over the context. happen on. We just have to respond. essential – the classic ‘Fit your own oxygen mask first’ analogy. grows the whisper. New life. Hope. of light and love too. 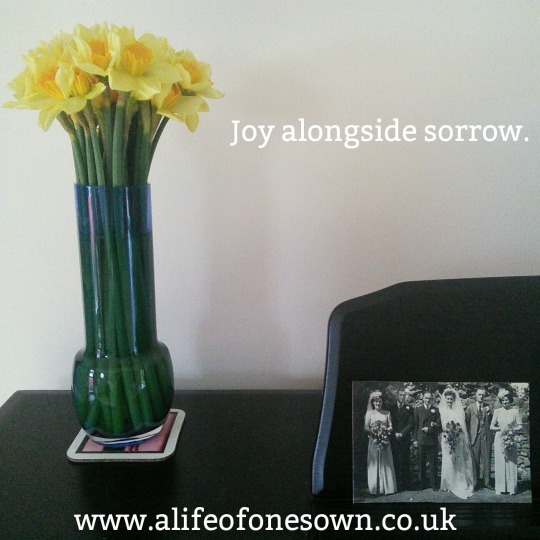 May you also find joy alongside sorrow in the week ahead. and the initiative has featured on The Today programme in the US as well as in O, The Oprah Magazine and on the BBC. I’m hosting the event with her! 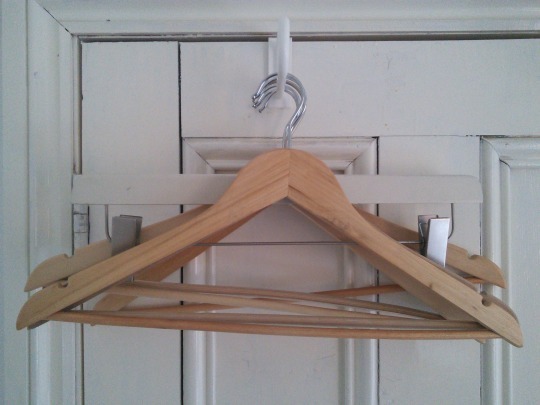 other Tiny Wardrobe on Tour events). 25th April 2016 at Friends House, London – tickets £20. #talesoffebruary), I posted on Instagram last week about my feelings regarding sobriety ahead of a weekend away with friends. How do we define ‘problem’? What is the lure of booze? When did so much of our adult identity become so intertwined with liquor of one form or another? Why is it so difficult to stop drinking even if we want to? I’m going away with friends this weekend and much of their talk as we prepare is about what bottles they are bringing. Mine are sparkling water and an elderflower cordial. They’re a bit different from the rest – 0% proof and all that. Mostly I’m okay with not drinking. More than okay really. For me sobriety feels less like deprivation and more like freedom. up as I want to, embrace the future). Sometimes I just want to feel “normal”, to be able to join in and not sit slightly tight lipped during the camaraderie of prosecco planning. And sometimes I crave the possibilities that alcohol seems to engender. The thrill of the night wide open in front of me, the prospect of unlimited spontaneity. Who knew where the evening would take me, what adventure awaited. That allure of possibility kept me going back long after the fun had faded. Of course the change isn’t all about abstinence. Age and stage are factors too, both for me and my former comrades-in-bars. Even when we do go out now, the options are not what they were. Babysitters and early mornings create other kinds of boundaries for them where sobriety sits for me. Real moments of connection where once fuzzy declarations of love stood. The pride of not having to loosen or numb to get through an event let alone enjoy it. Accepting this is where I am, who I am and how I feel, not hiding that truth even from myself. So with my two bottles sat on the worktop ready to pack, I find that in with the melancholy and nostalgia for the good old drinking days (which weren’t always all that great really), there’s also an enormous amount of gratitude for letting go of that world and that way. I didn’t think it were possible but it is. And I am open to all the new possibilities that this opens up. exactly what I’m on about; for others it won’t resonate at all. Get in touch via email (rae@raeritchie.com) or the comments. If you’ve enjoyed this post or found it useful, please do share using the social media buttons below. suggestions of things to try and prompts for reflection along the way. 2nd February 2016: You’re the adult now. You get to make the rules. 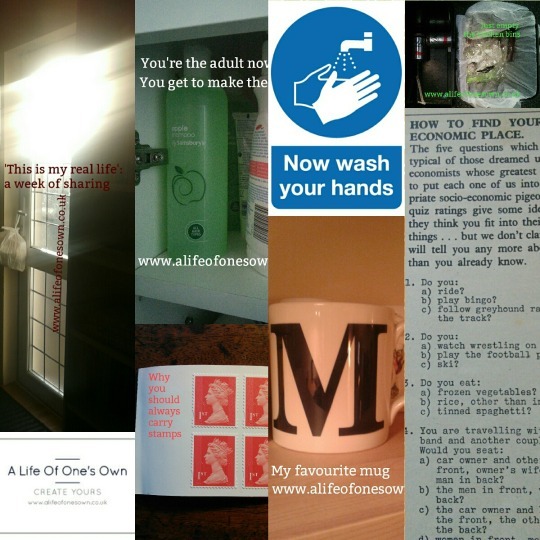 my ‘This is my real life’ week. always surprises me about myself. somewhat assuaged the need to post more anyway. hashtag mockery, despite being guilty of #blessed-esqueness myself). sharing the non-shiny and the non-glamorous. which I probably would have hidden away before. when seized with the idea for the project). words and more quickly – and finding that I managed both. comfort zone is being stretched just that little bit further. as it is the more obviously exciting and glamorous occasions. and contentment – to create a life of your own too. February. All the details are over here. 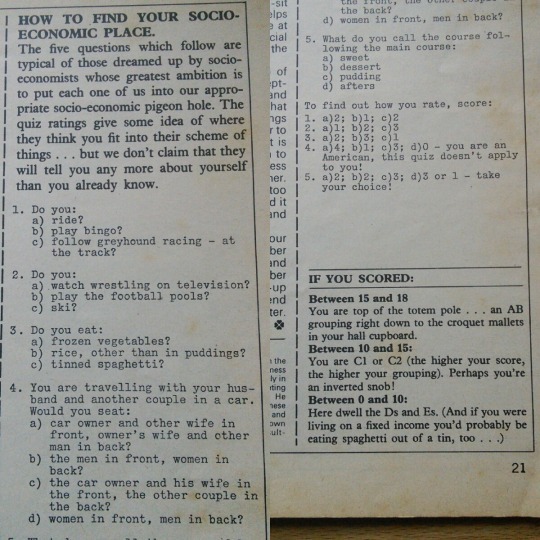 The quiz pictured is genuinely from a women’s magazine – an early 1970s publication with the unfortunate title Candida (if you’d like to know more about it, ask! It’s a pet research project of mine). the extra effort. It never was. Of course you know what’s coming next, don’t you?! description they most liked the sound of at the end?). conscious of that can provide some useful insights. makes it easier to craft a life that integrates the former and minimises the latter. self-awareness can have a profound effect. You’re the adult now. You get to make the rules. I’m the adult now. I get to make the rules. That includes choosing toiletries. I also get to make rules. That includes not having to line them up straight & forward-facing in the cupboard. Crazy times! grown-up, I would by Finesse hair conditioner. to buy it when I was older. the long-awaited day when I too had the power to buy hair care products. monumental, are made for us and about us. then agonised over whether to get a 99 or lolly from the ice cream van. with our best interests at heart. like requesting a specific type of conditioner that we dream of trying out. the decisions we make within them. whilst retaining a level of cynicism about them all. never truly realised that our feelings were valid and important. provide a much-needed reminder: you are the adult now. You are the adult now. hassle of rocking the boat isn’t worth it – but then that is your choice too. adult? What would really help you? now. 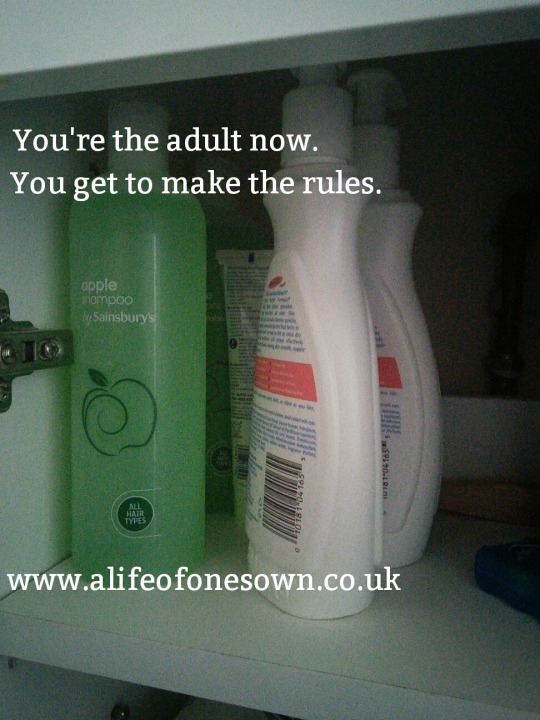 I get to make the toiletry buying rules.